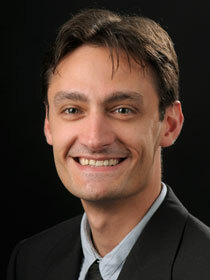 Mike Gallagher, PhD, an assistant professor in the Department of Kinesiology and Physical Education, is a co-author on a textbook that was recently published by Springer. The book, entitled Perceived Exertion Laboratory Manual: From Standard Practice to Contemporary Application, is a proactive learning resource for health psychologists, exercise physiologists, and health-fitness professionals seeking to further the health education of clients, and can also be used in the professional development of students and in-service practitioners. Assisting in the development of the exercise experiments included in the book were undergraduate students Haley Frerichs, Caroline Proctor, and Curtiss Scroggins. Two UCA physical therapy faculty members were recently elected to the Board of Directors of the Arkansas Physical Therapy Association (ArPTA). Dr. James Fletcher was elected Vice-President of the ArPTA, and Dr. Bill Bandy was elected to a second term as Arkansas’ Chief Delegate to the American Physical Therapy Association House of Delegates. 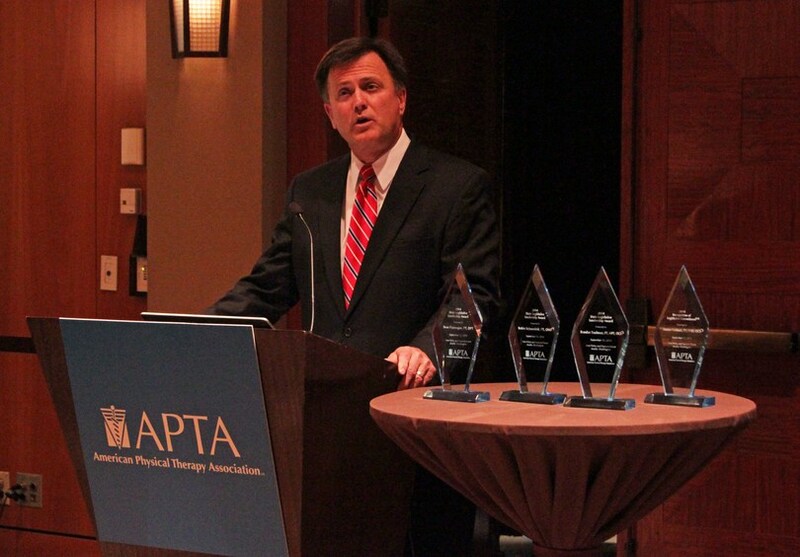 In addition, Dr. Steve Forbush received a national award, the State Legislative Commitment Award, from the American Physical Therapy Association during the 2014 APTA State Policy and Payment Forum this September in Seattle. Below is an explanation of this award and the comments made by APTA President Paul Rockar when presenting the award. These faculty members help set a great example of professional involvement for our students. On November 11, 2014, thirty-three UCA students were initiated into the Gamma Beta Chapter of Phi Upsilon Omicron Honor Society from the Department of Family and Consumer Sciences. The majors included 19 nutrition, 8 interior design, 4 general family and consumer sciences, 1 family and consumer sciences education, and 1 graduate student. Founded in 1909, the honor society in family and consumer sciences promotes lifelong learning, leadership building, and ethical and scholastic excellence. The UCA chapter was chartered in 1983 and nurtures leaders to continue the legacy. 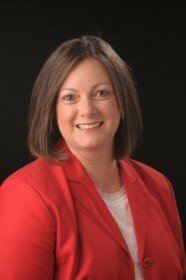 A $3200 grant has been secured by Dr. Nina Roofe, Assistant Professor and Dietetic Internship Director in the Department of Family & Consumer Sciences at the University of Central Arkansas from the Produce for Better Health Foundation. Produce for Better Health Foundation (PBH) is a non-profit 501 (c) (3) consumer education foundation whose mission is to motivate Americans to eat more fruit and vegetables to improve public health. PBH partners with government agencies like CDC, non-profit organizations, health professionals, educators, and members of the fruit and vegetable industry to promote increased consumption of fruit and vegetables. Produce for Better Health Foundation brings together private industry and public sector resources, policy makers, and key consumer influencers to promote fruit and vegetables directly to consumers. This grant entails collaboration between Harp’s Grocery in Conway and the UCA Dietetic Internship, training materials for delivery of grocery store tours, and service learning opportunities for UCA undergraduate and graduate nutrition majors during the 2015 spring semester. For more information, please contact Dr. Nina Roofe at nroofe@uca.edu or (501) 450-5950. UCA Professor Dr. Jennifer A. Moore has been chosen to receive The American Occupational Therapy Association (AOTA) Roster of Fellows Award. The Roster of Fellows recognizes members of AOTA who have made a significant contribution to the continuing education and professional development of their members. 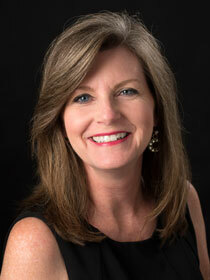 Dr. Moore’s name will be listed in the Conference Program Guide and she will be identified on the AOTA website and in the November/December 2015 archival issue of the The American Journal of Occupational Therapy.